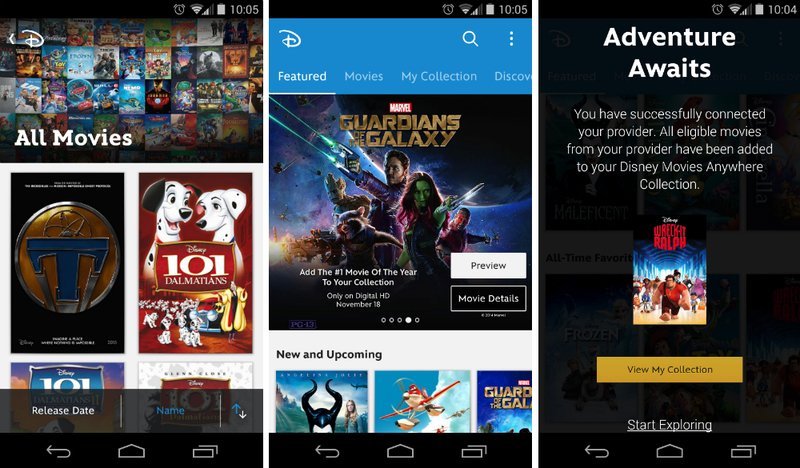 Disney is partnering with Google and Apple to allow access to all of its titles through your smartphone, via a new app called Disney Movies Anywhere. To get started, all you need to do is create a Disney account, then link up your Google Play or iTunes account. Then, once linked, you can browse all of Disney’s movies, and even claim a free one as a gift. Not only are there Disney titles, but you can also access Pixar flicks, as well as Marvel. Through the application, users can access exclusive Disney content for free, and also earn Disney Movie Rewards points with every purchase you make. The most important part is that it is all through your Google Play account, so no matter what, all of your purchased goods are accessible through your existing library. As you can see from the screenshots above, after signing up, I was gifted Wreck It Ralph. Score. Go grab your free movie.